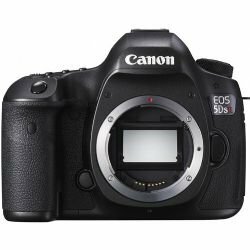 Both the Canon 5DS DSLR and Canon 5DS R feature a newly-designed 50.6MP resolution 35mm CMOS sensor along with dual Digic 6 processors allows for some of the sharpest images ever captured by a digital SLR. The difference between the two cameras is that the 5DS R has a low-pass filter effect cancellation, which effectively improves the sensor's sensitivity.On the surface, the Canon 5DS R and 5DS-R appear to be identical to the existing Canon flagship model, Canon 5D Mark III. 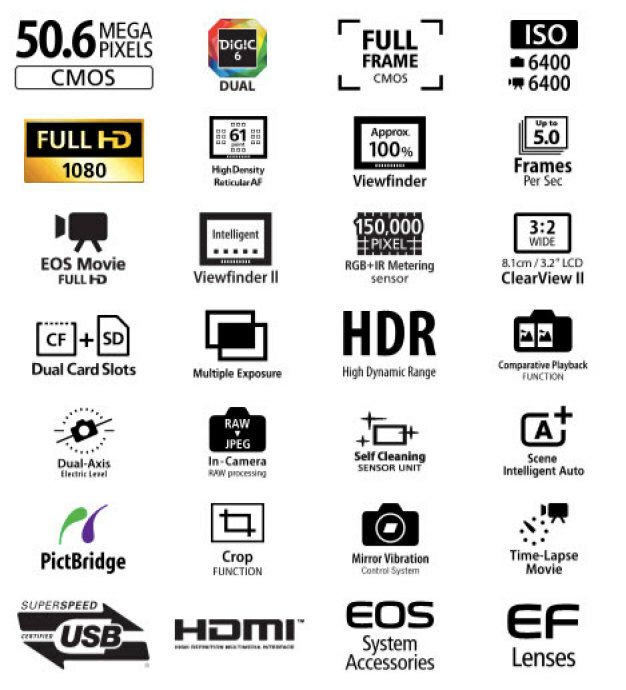 Both models borrow the advanced programmable auto-ISO sensitivity from the 7D Mark II providing increased control over ISO sensitivity before having to stop down. With its built-in intervalometer, create time-lapses and long exposures to capture everything from an incoming storm to light trails from cars on night-time cityscape.